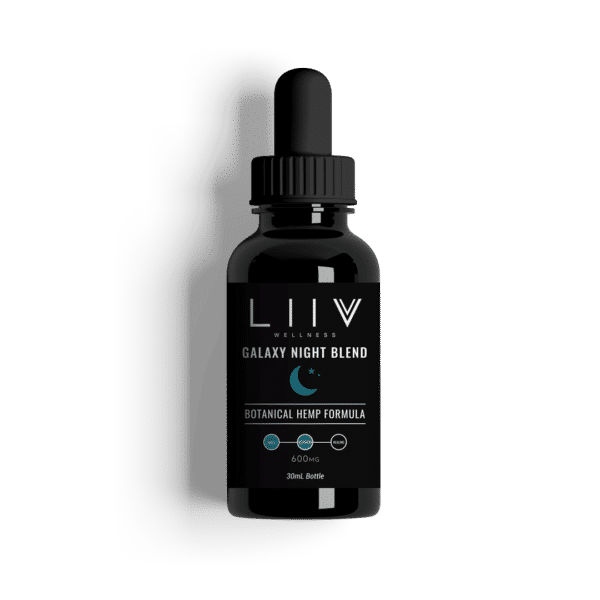 The 600mg Galaxy Night Blend contains organic full spectrum hemp oil, organic terpenes, organic tart cherry, and therapeutic essential oils to help the body and mind rest and recover over night. *Great to take at night with your tea, water, or juice, but we recommended dropping the oil under your tongue and holding for 30-60 seconds to allow the fastest and best absorption. 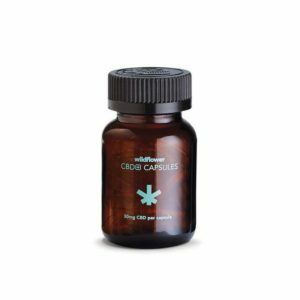 CBD is short for cannabidiol – a phytocannabinoid found in the flowers and leaves of the hemp plant known for supporting your body and mind (endocannabinoid system) in many beneficial ways. 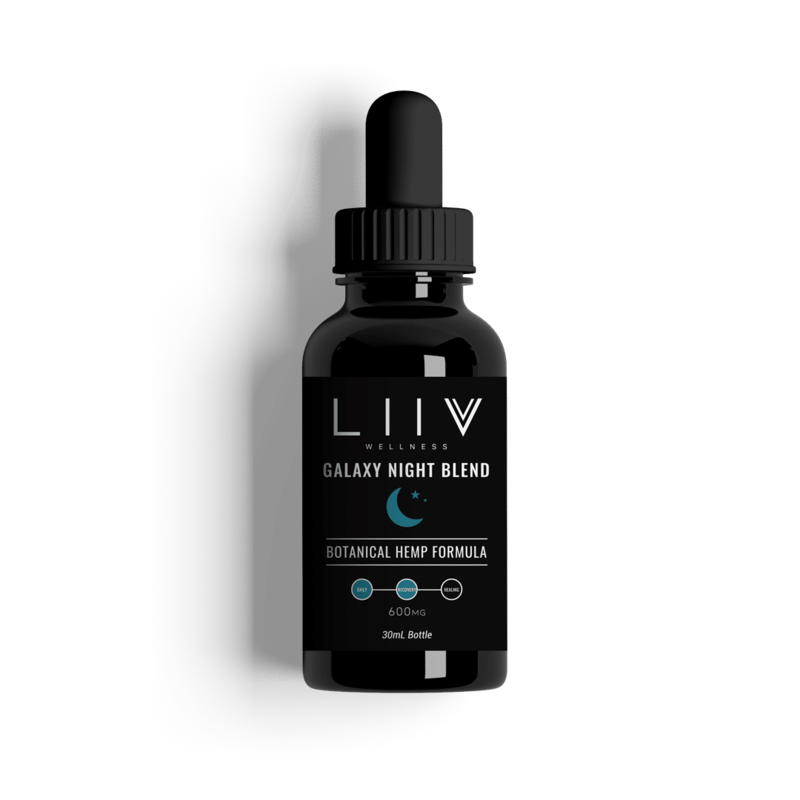 LIIV Organics Store’s products not only contain CBD but the entire array of phytocannabinoids found in hemp. 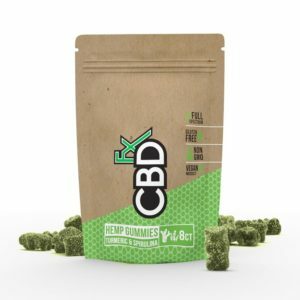 Research shows using the whole plant maximizes many of the benefits realized by using hemp products. Our partnerships with licensed, knowledgeable farmers allows us to acquire the highest quality, nutrient dense hemp plants. 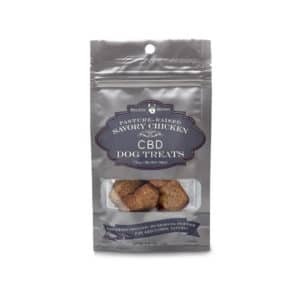 Most products are organically grown, harvested and processed domestically. This means no pesticides, solvents or other unwanted impurities.